TESTIMONIAL: Happy wife and a nice boat – perfect! My wife and I recently bought a Bar Crusher 575C and couldn’t be happier with it. It was the first boat we found that suited us both. I wanted rugged practicality – a fully-functional fishing machine with all the bits. She wanted something that looked nice and had comfy seats. 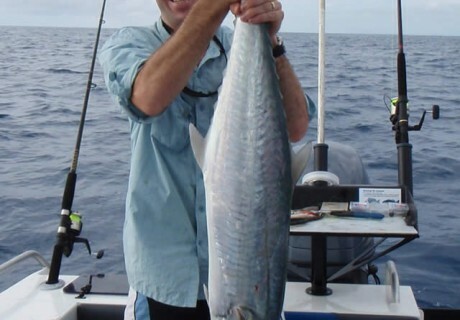 We use our Bar Crusher to chase reef species and light gamefish off Cairns. It has ample fuel capacity for reaching the outer reef, and teamed up with a 115hp four-stroke Yamaha, it has plenty of get-up-and-go when we need to high-tail it back home. The hull is everything it’s talked up to be – perfect for punching through the short sharp chop we get inside the reef when it blows up. With the roof down and side clears up my wife stays dry and happy in her comfy seat. A happy wife and a nice boat – what more could I ask for?